BUDAPEST (JTA) – Is there such a thing as a European Jewish identity? Can such an identity be created? What clout can European Jewry wield in global Jewish affairs? Jewish policymakers have debated these questions ever since the fall of communism in the early 1990s erased east-west borders and opened the way to a new Jewish chapter in Europe. Back then, some strategists saw fostering a European Jewish identity as key to the political goal of making European Jewry a “third pillar” — or equal player — alongside Jews in Israel and North America. Today it is clear that the optimistic ideal of a pan-European Jewish identity remains elusive and the political goal of European Jewry as a strong third pillar has yet to materialize. Yet rejuvenated efforts are under way to tackle the challenge. But what happened to damper the initial enthusiasm for the idea? The survey polled 328 “Jewish leaders and opinion formers” in 32 countries, and as far as Europe was concerned, it demonstrated a dramatic gap between theory and practice. Most respondents “strongly supported” Jewish solidarity and a European Jewish identity, but only 22 percent had “direct knowledge” of other Jewish communities in Europe and only 15 percent said they were familiar with “the goals and programs” of the main European Jewish organizations. Kosmin presented the survey finding in June at a conference in Barcelona sponsored by the JDC and the European Council of Jewish Communities, an umbrella organization that recently revived operations in an attempt to kick-start closer European cooperation. The data, said ECJC President Evan Lazar, prove the need for his group. “The fact that the survey shows that so few community leaders know what is happening with other European Jewish communities validates the purpose and reason for being of the ECJC,” Lazar, a Prague-based lawyer, told JTA. The survey findings in fact reflect how both prospects and conditions have changed since the heady post-communist days of the 1990s. Baker, who helped organize a number of conferences and other initiatives promoting European Jewish identity and integration, said the lack of success was due to a combination of factors. Changed realities in the global arena, of course, played a major role: among them the collapse of the Middle East peace process, the second intifada, the rise of Islamic extremism and spikes in anti-Semitism largely linked to growing Arab and Muslim communities in Europe. “Most European Jewish communities today face significant security concerns that no one imagined at the time of our conferences in the 1990s,” he said. But, Baker told JTA, internal Jewish failures also helped thwart expectations. For one thing, the AJC official said, strategists had not realized how “nationally connected” European Jewish communities were and still are. Against this background, Jewish strategists and policymakers are attempting to chart new courses. Still, he told JTA, the concept of European Jewry as the third pillar of world Jewry remains a viable political model to aim for. “It simply cannot be that political issues regarding Jews can be discussed just by Israel and the U.S.,” Izcovich said. Hampering efforts, say some strategists and researchers, is a growing disconnect in some countries between mainstream Jewish institutions and the way Jewish lives are lived. Informal networks and alternative initiatives, they said, are increasingly important, particularly for younger Jews. 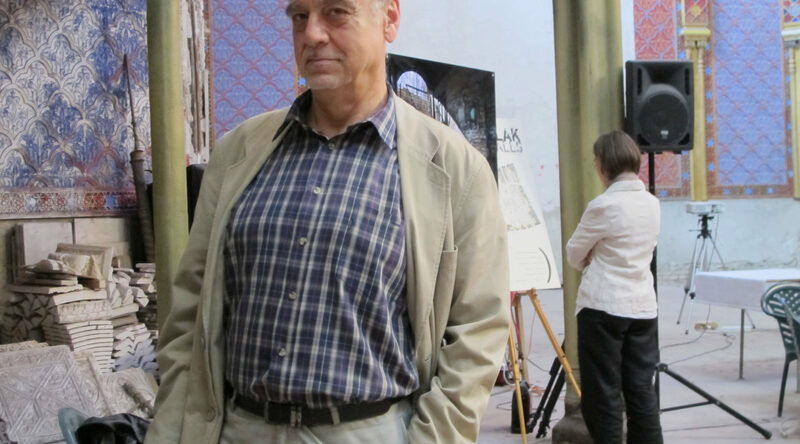 Sociologist Andras Kovacs, who has charted the development of Jewish life in Hungary for decades and coordinated a survey released in 2011 on Jewish identity in five post-communist European countries, agreed. That leaves Europe’s Jewish leaders — just like many in America — trying to connect their goals to the realities of the people they seek to unite.